Will Virginia’s “Rate Freeze Law” Stand? The $280 million (Per Year) Question. A group of industrial customers of Dominion Virginia Power (“Dominion”) recently asked the Supreme Court of Virginia to strike a controversial portion of the Virginia Electric Utility Regulation Act (“Regulation Act”). 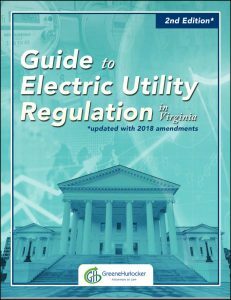 The group, the Virginia Committee for Fair Utility Rates (“Committee”), is challenging a 2015 amendment to the Regulation Act, Senate Bill 1349, which limits the state’s ability to regulate the electric rates of monopoly public utilities. The so-called “rate freeze law” prevents the State Corporation Commission (“SCC” or “Commission”) from reviewing or reducing the base rates of Dominion and Appalachian Power Company through at least 2022. If the Supreme Court strikes the law, it could mean a significant rate reduction for Dominion’s customers – to the tune of approximately $280 million per year. See our previous information about this topic here. The challenge was triggered by an SCC order late last year that applied the rate freeze law for the first time. In its Final Order in Dominion’s 2015 Biennial Review rate case, SCC Case No. PUE-2015-00027, a 2-1 majority of the Commission applied SB 1349 as written and declined to adjust Dominion’s base rates or set a new rate of return on equity for the company. Commissioner Dimitri, however, filed a dissenting opinion, stating that the rate freeze law violates Article IX of the Constitution of Virginia because it limits the SCC’s authority to regulate monopoly electric utilities such as Dominion. The legal arguments advanced by the Committee are also based on Article IX of the Constitution of Virginia, which establishes the powers and duties of the SCC. Article IX, Section 2 provides that “Subject to such criteria and other requirements as may be prescribed by law, the Commission shall have the power and be charged with the duty of regulating the rates, charges, and services … of electric companies.” According to the Committee, therefore, the Commission’s authority to regulate electric rates is subject only to “criteria” and “other requirements” that may established by the General Assembly. By taking the authority to regulate electric rates away from the SCC, the Committee has argued, the rate freeze law runs afoul of Article IX. Opening briefs in this case (Supreme Court Record No. 160453) are due June 3, and oral arguments are likely to be held during the Supreme Court’s fall term. If you have any questions about any of the legal aspects of this case or its potential to affect the electric rates paid by Dominion’s customers, do not hesitate to contact one of GreeneHurlocker’s Virginia energy and regulatory attorneys. We’ve examined in detail the Virginia Department of Environmental Quality (“DEQ”) changes to implement Virginia’s 2009 “Small Renewable Energy Projects” legislation (VA Code 10.1-1197.6). 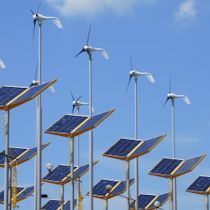 The statute moved authority from the State Corporation Commission (“SCC”) to DEQ over protection of natural resources (specifically wildlife and historic resources) with respect to renewable energy projects. 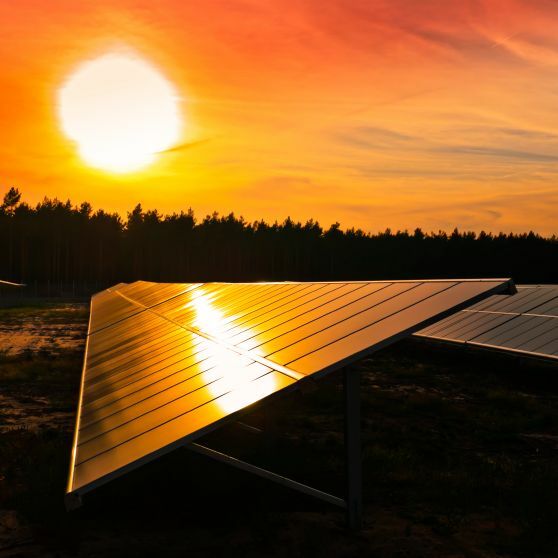 Pursuant to the statute, DEQ has jurisdiction to approve PBR applications for solar projects with a rated capacity of 100 megawatts or less, while the SCC retains jurisdiction for projects with a rated capacity over 100 megawatts. DEQ’s regulations are set forth in 9 VAC 15-60 of the Virginia Administrative Code. The details are on our post here. We watched a lot of bills arrive and die in the Virginia General Assembly session this past year (a session that still has yet to pass a budget for the state). Here is a brief look at a few initiatives impacting renewable energy development in Virginia that have been enacted or remain active for future sessions. Senate Bill 653: Renewable Energy Property Grant Fund. S.B 653 was intended to offset costs to install new renewable energy facilities by offering grants to cover a portion of these costs. This bill defines “renewable energy” as energy derived from sunlight, wind, falling water, biomass, waste, landfill gas, municipal solid waste, wave motion, tides or geothermal power, but does not include energy derived from coal, oil, natural gas, or nuclear power. The idea was to establish a grant system through which the $10 million fund would allow individuals who placed new renewable energy property into service during a fiscal year 2016 to apply for a grant equal to 40 percent of the costs paid or incurred by the individual, not to exceed $2.5 million for any particular project. The bill was passed by both the House and the Senate, but amended so that only 35 percent, rather than 40 percent, of the costs may be recovered through a grant. In addition, costs related to existing facilities that generated electricity within the 12 months preceding the date of a grant application would not be eligible and any renewable energy property paid for by ratepayers would also be ineligible. The provisions of act will not become effective unless it is reenacted by the General Assembly in 2015. Senate Bill 418/House Bill 1239: Real and Personal Property Tax Exemptions for Solar Energy Equipment, Facilities and Devices. These bills provide an exemption from local taxation for all certified solar energy equipment, facilities and devices. The exemption for solar photovoltaic systems would only apply to projects equaling 20 megawatts or less. It adds “solar energy equipment, facilities, or devices” to the definition of certified pollution control equipment and facilities, whether or not the property has been certified to the Virginia Department of Taxation by a state certifying authority if the property is owned or operated by a business and fits within the 20 megawatt cap. 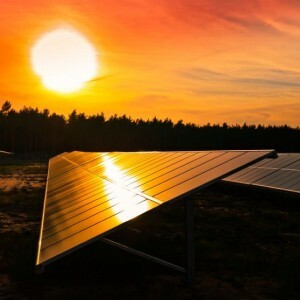 These bills also establish a separate tax classification for other solar energy equipment, facilities, or devices if they are certified by the Virginia Department of Environmental Quality. Unlike the business-owned solar property, which is exempted by these bills, whether or not the separately classified individual-owned solar property is partially or fully tax exempt is up to the governing body of the individual’s county, city or town. 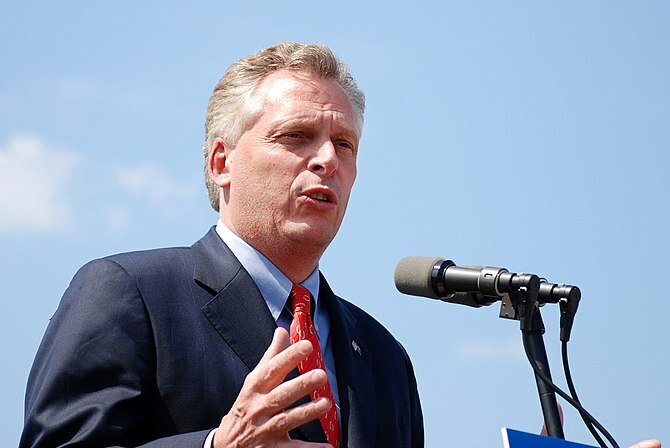 These bills were signed into law by Governor McAuliffe, taking effect January 1, 2015. Senate Bill 514/House Bill 796: Postponed the Due Date for Quadrennial Updates to the Virginia Energy Plan. Amending § 67-202 of the Code of Virginia, these bills postponed scheduled Virginia Energy Plan updates from July 1, 2014 to October 1, 2014. The plan then has to be updated every four years after the update this October. Updates to the plan must reassess goals for energy conservation based on progress toward the goals in the previous plan and lessons learned from attempts to meet those goals. These bills passed both houses and were signed into law by the Governor. The 2010 Virginia Energy Plan aims to (1) expand both traditional and alternative energy generation, (2) increase the use of conservation and efficiency, and (3) educate the public about Virginia’s energy consumption and production, emphasizing how they affect our economy and teaching Virginians ways to energy more efficiently. Additionally, the plan strives to maximize the Commonwealth’s investments in clean energy research and development through the Universities Clean Energy Development and the Economic Stimulus Foundation. This law takes effect July 1, 2014. Senate Bill 498/House Bill 822: Changed Virginia’s Renewable Energy Portfolio Standard Program. These bills limit the ability of an electric utility participating in the renewable energy portfolio standard (“RPS”) program to bank excess renewable energy sales or renewable energy certificates (“RECs”) to achieve its annual RPS goals. A utility may use its excess renewable energy sales and RECs only in the five years following the renewable energy generation or the REC creation. This bill was approved by both houses and signed into law by the Governor. The goal of these bills is to encourage utilities to continue to expand use of renewable generation to achieve current goals of the plan, but not to bank excess RECs in the short term when RPS goals are lower to use in later years when RPS goals increase, or may even become required. Companies are able to bank excess RECs for five years after their creation before they no longer count toward the utility’s RPS goal. Virginia’s RPS goals are laid out in four stages, starting in 2010 and running through 2024. In each subsequent stage, the RPS goal increases by a specified percentage. This law takes effect July 1, 2014. If you have questions about any of these laws and how they might impact your business, please contact the energy lawyers at GreeneHurlocker for more information.